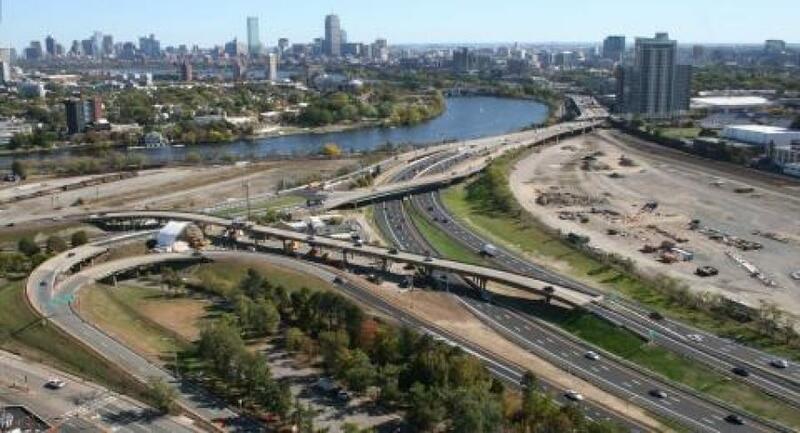 On June 27, at a meeting of the Allston I-90 Intermodal Project Task Force, the Massachusetts Department of Transportation (MassDOT) announced that it is reviewing two key aspects of the project: the design of the “throat” section of the highway along the Charles River and when to construct a new regional transit hub at West Station. Transportation Secretary and CEO Stephanie Pollack committed to deferring a decision on a preferred alternative design of the throat section until after completion of the 90-day review by an independent consultant team. “We will take a hard look at the benefits and challenges of building the highway on the ground or on an elevated viaduct,” Pollack said. The review team is fully independent of the project team, and consists of engineers, designers and permitting experts that will analyze improved versions of viaduct and at-grade options for the throat. Members include individuals who helped to successfully redesign the MBTA Green Line Extension Project. At the same time, MassDOT is undertaking two collaborative studies of transit and mobility needs now and in the future throughout the Allston/Beacon Park Yards area: a study of long-term potential land use and public transit outcomes to be developed by the Metropolitan Area Planning Council, and a sixth-month study of immediate transit needs in the Allston area. The additional transit analysis will help inform a decision on when to build West Station and make future transit investments. As the independent review is carried out, MassDOT project team members will continue to advance other aspects of the project including environmental review work and technical tasks such as field surveying and geotechnical investigations. The Final Environmental Impact Report for the Allston I-90 Intermodal Project is currently expected to be filed in spring 2019. MassDOT would then carry out the process to procure a design-build construction contractor in 2020. The independent review, which was launched on June 27, is expected to be completed in 90 days and will analyze areas of each potential throat section design such as constructability, environmental impacts, resiliency, geometry, risk, and cost. The independent team will receive feedback from key stakeholders and members of the project Task Force in order to best understand the benefits and challenges of the different design concepts. The current viaduct structure carries 150,000 vehicles each day into and out of downtown Boston. The viaduct is the primary route of vehicular travel from Western Massachusetts and Central Massachusetts into the city. The viaduct is outmoded and structurally deficient, and MassDOT annually spends approximately $800,000 to maintain the viaduct in usable condition. The viaduct currently is safe for travel. For several years, MassDOT has hosted regular meetings of a public Task Force in order to vet all aspects of the project elements with neighborhood residents, representatives of local organizations and regional transportation stakeholders. Since the inception of the project, MassDOT has held more than 30 Task Force and public meetings.